The roots of sign spinning can be traced back to the home building industry. Home builders were tired of wasting money on staffing agencies and boring human directional services to help point prospective buyers to their locations. In the end, they would only be told their sign guy looked sad or was pointing the wrong way. Out of necessity for a quality outdoor advertising service, AArrow Sign Spinner’s hit the scene, the rest is history! AArrow Sign Spinners don’t just have the professional look, they are actually professionally trained to get your attention as well! Almost every home builder you can think of, big or small, has utilized The AArrow Sign Spinners. AArrow’s professional image and contagious energy can make any development stand out among the competition and directly drive traffic to their model homes and sales office. Most potential home-buyers take the weekend as a family outing in search of their future home and love to see the smiling face of our professional AArrow Sign Spinner’s performing their signature tricks and directing them to their destination. AArrow Sign Spinners are impossible to ignore, let us point the way to your sales office! Developers like Cal Atlantic, D.R. Horton and Pulte Homes have employed sign spinning nationwide to direct traffic towards their newly developed communities for grand opening events and neighborhood celebrations. 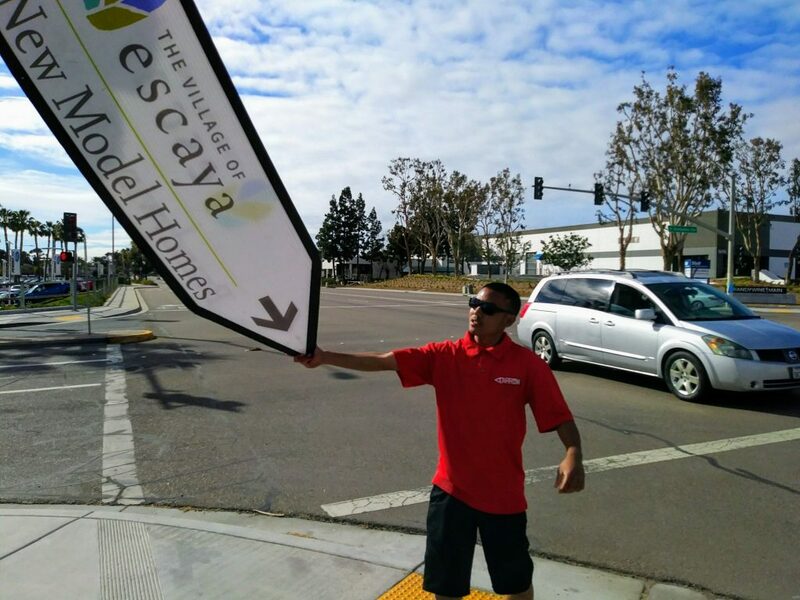 Click here to book a team of sign spinners for your new community today! PreviousPrevious post:AArrow Sign Spinning at SXSW!NextNext post:Danny Partida – March’s Sign Spinner of the Month!